We offer a full range of Riverhills property management services tailored to you as an investor, homeowner, or landlord. 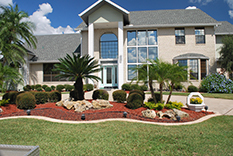 We have an extensive portfolio of single family homes, townhouses, condos, and apartments in the Riverhills area. 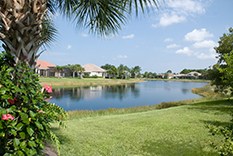 Information River Hills is a deed restricted, multi-village, controlled access community with 1162 single-family homes, common lands, surrounding an independently owned, private country club and golf course in Valrico, FL. The eastern side of the community is bordered by Hillsborough County—purchased Environmental Lands Acquisition and Protection Program (ELAPP) lands which have as their purpose the conservation and protection of environmentally unique, irreplaceable and valued ecological resources. ARVIDA/JMB Partners opened River Hills in 1988. A member of the Audubon Cooperative Sanctuary Program, over 1200 acres and a superb golf course comprise the River Hills Community. To be a resident of River Hills, it is not required to be a member of the River Hills Country Club but homeowners who opt for membership have exclusive access to the private 18 hole, par 72 golf course (designed by Joseph Lee) and the golf club, driving range, lighted tennis area with clay courts, a junior Olympic-sized swimming pool and workout facilities.